These are invited talks to scientific, clinical or industry audiences. For talks to the general public, click here. For conference presentations, click here. Lectures at Training school on Vision, Psychophysics and Modelling for EU Innovative Training Network “RealVision”, University of Oxford, Oxford, UK; June 26; 2019. Summer course on Vision: a platform for linking circuits, perception and behavior, at Cold Spring Harbor Laboratory, New York, USA; Jun 18 2019. 2 hours of talks. Talk at 8th Iberian conference on perception, Madrid, Spain; June 20, 2019. Lecture at Newcastle Academic Medicine Conference 2019, Newcastle University, Newcastle upon Tyne, UK; May 4, 2019. Talk / panel discussion at neuromorphic engineering workshop at Capo Caccia; May 2nd, 2019. 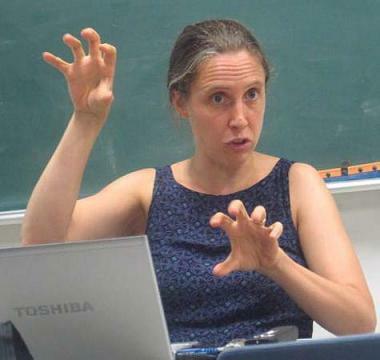 Talk at Sixth workshop on Natural Environments, Tasks and Intelligence at the University of Texas at Austin, USA ; April 28, 2019. Talk at International Graduate School in Neuroscience conference at Ruhr-Universitaet Bochum, Germany; April 10, 2019. Seminar at Institute of Neuroinformatics, University of Zurich, Switzerland; November 30th 2018. How insects see in 3D. At the Commercial UAV (Unmanned Aerial Vehicle) Show, ExCel, London, UK; November 14th 2018. Stereopsis in insects: The praying mantis versus human observers. Optical Society of America webinar on Optical properties and visual characteristics of animal eyes; November 15th 2018. Human vision and visual cues. 3 hours of lectures Training School on Immersive Imaging of the European Union Innovative Training Network on Immersive Visual Technologies for Safety-critical Applications; Zagreb, Croatia; November 7th 2018. Stereoscopic depth perception in the praying mantis. At Vision / Action: A symposium in celebration of Lance Optican; Society for Neuroscience Annual Meeting, San Diego, USA; November 2nd 2018. Stereoscopic (3D) vision in humans and insects. Psychology seminar, Bangor University, Bangor, UK; October 26th 2018.
summer course on Computational Neuroscience: Vision at Cold Spring Harbor Laboratory, New York, USA; July 18 2018. 3 hours of talks. Of mantids and men: Stereoscopic (3D) vision in humans and insects. Bristol Vision Institute Colloquium, Bristol University, Bristol, UK; July 3rd 2018. 45 minute keynote talk. McGill University, Montreal, Canada; May 16th 2018. How insects see in 3D: Stereopsis in the praying mantis. Reading University, Reading, UK; April 12th 2018. 50 minute seminar. Applied Vision Association Spring Meeting, Bradford University, Bradford, UK; March 26 2018. Geoffrey J Burton Memorial Lecture. GDR-Vision meeting, Lille, France; October 12 2017. Keynote address. Plymouth University, UK; Sep 4 2017. 1 hr keynote address. Conference on Vision in the Real World, York University Centre for Vision Research, Toronto, Canada; June 27 2017. 45 min talk. Bristol University, UK; January 23 2017. Informal talk. What makes insect vision special? Mini-workshop on “Low power and adaptive computer vision for scene understanding” in the Visual Image Interpretation in Humans and Machines network January 27 2017. 1 hr keynote address. Neuroethology seminar, Physiology Laboratory, Cambridge University, UK; December 2 2016. 1 hr talk. Psychology seminar, University College London, UK; November 22 2016. 1 hr talk. North East Postgraduate Conference, Newcastle University, UK; November 24 2016. 1 hour talk. The computation of binocular disparity in man, monkey, mantis and machine. How many ways are there to solve stereoscopic vision? Irish Machine Vision and Image Processing, Galway, Ireland; 26 August 2016. 1 hour talk. Summer School on 3D Displays and the Human Visual System, a training school of the European Training network on Full-parallax Imaging, Gateshead, UK; June 27 2016. 3 hours of talks. “Head-to-head” (biological/machine vision) talk on binocular / 3D vision, with Miles Hansard, 3rd workshop of the Visual Image Interpretation in Humans and Machines network, 12-13 July 2016, Bath, UK. summer course on Computational Neuroscience: Vision at Cold Spring Harbor Laboratory, New York, USA; July 20 2016. 3 hours of talks. How do we perceive brightness and colour? Presentation at the Workshop on High Dynamic Range at European Broadcasting Union, Geneva, Switzerland; June 1 2016. 20 minute talk. Talk at symposium on “Artifice versus realism as an experimental methodology” at the Vision Sciences Society meeting, Florida, USA; May 13 2016. 15 minute talk. Seminar to the Innovative Computing Group at Durham University, Durham, UK; March 3 2016. 1-hour talk. How many ways are there to build a stereo vision system? , École Normale Supérieure, Paris, France; November 15 2015. 30-minute talk. What neural signal underlies human stereoscopic depth perception? Psychology seminar at Justus-Liebig-Universität, Gießen, Germany; November 16 2015. 1-hour talk. International Workshop on Immersive Visual Technologies, Tampere, Finland; October 20 2015. 30-minute talk. 3DTV-CON: immersive and interactive 3D media experience over networks, Lisbon, Portugal; July 10 2015. 1 hr keynote address. Stereoscopic Vision in an Insect System. ViiHM network Binocular Vision Mini-Workshop, Wivenhoe, UK; Mar 31 2015; 1 hr keynote talk. PROVISION workshop on Trends in Video Analysis, Representation and Delivery, Aachen, Germany; Feb 10 2015; 2 hr lecture. Stereoscopic Displays and Applications, San Francisco, California; Feb 10 2015. 1 hr keynote address. Video available here. British Isles Paediatric Ophthalmology Association Annual Meeting, Birmingham, UK; Sep 18th 2014. Cambridge Ophthalmological Symposium, Cambridge, UK; Sep 5th 2014. Neuronal encoding of binocular disparity for natural and unnatural image statistics. 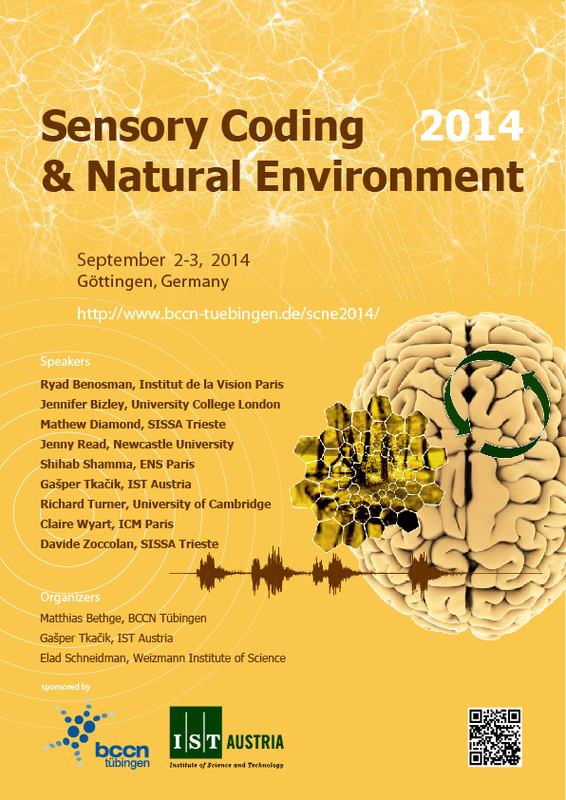 Sensory Coding & Natural Environment Workshop, Goettingen, Germany; Sep 3rd 2014. Modelling memory in food-hoarding birds, with Dr Tom Smulders. Hippocampal Interest Group, Durham University, Durham, UK; Jul 4th 2014. Neuroscience and High Dynamic Range. Joint Digital Video Broadcasting / European Broadcasting Union workshop on High Dynamic Range. Institut fuer Rundfunktechnik, Munich, Germany; Jun 17th 2014. How mantids solve the correspondence problem. Sussex University, Sussex, UK; Jun 9th 2014. Viewer experience with 3D television. Movement Science Group meeting, Clinical Ageing Research Unit, Newcastle University, Newcastle upon Tyne, UK; Jun 5th 2014. Human stereoscopic vision and its neuronal substrate. Kyushu University, Fukuoka, Japan; Apr 21st 2014. Understanding the Human Vision System . Technology Summit on Cinema, Las Vegas, USA; Apr 5th 2014. Video of my presentation available at CineTechGeek: http://www.cinetechgeek.com/2014/05/27/nab-2014-16-uhvs2-understanding-the-human-visual-system-dr-jenny-read/. Indo-British Neuroscience Symposium, Kolkata, India; Dec 1st 2013. Altered visual perception in psychiatric / neurological disorders. North East Epilepsy Research Meeting, Beamish, UK; September 30th 2013. Video recording of this seminar. What do we know about viewer experience with S3D TV? Professional conference, 3D Stereo Media 2012, Liège, Belgium; 5 December 2012. Birmingham University, UK; November 14th 2012. Southampton University, UK; October 10th 2012. Single vision in children with intermittent exotropia. Indiana University School of Optometry, Indiana, USA; September 19th 2012. Visual cues to depth: how does the human visual system encode variation in disparity across a scene? Fall Vision Meeting, Optical Society of America, New York, USA; September 15th 2012. 3D Media Training School, Tampere, Finland; Aug 13 2012.
International Society for Eye Research meeting, Berlin, Germany; July 2012. Hollywood Post Alliance Tech Retreat, Palm Springs, California; 17 Feb 2012. Mark Schubin’s blog post on the meeting. Is watching stereo 3d like watching the real world? 3D Stereo Media 2011, Liège, Belgium; 8 December 2011. Distortion and impact of the human visual system. European Broadcasting Union (EBU) workshop on 3D technologies and human factors, Geneva, Switzerland; 6 October 2011. You can view a short video about the workshop featuring soundbites from the various speakers. What limits the resolution of stereo depth perception? Autumn School in Cognitive Neuroscience, Oxford McDonnell Network for Cognitive Neuroscience, Oxford, UK; 26 September 2011. SMPTE (Society of Motion Picture and Television Engineers) 2nd International Conference on Stereoscopic 3D for Media & Entertainment, New York, New York; 21 July 2011. “The thrills started with the very first presentation, “Getting the Geometry Right,” by Jenny Read…I cannot confirm that everyone in the audience did the same, but as far as I could see, attendees were taking notes frantically almost as soon as she started speaking.” – writeup by Mark Schubin. North East Conference on Vision, Durham; 21 March 2011.
with Mr Mike Clarke. Clinical Neurosciences Forum, Royal Victoria Infirmary, Newcastle upon Tyne, UK; 20 January 2011. Suppression and stereopsis: how the visual system adapts to ocular misalignments. “A singular view: Binocular vision and strabismus”, Clinical Grand Rounds, Royal Victoria Infirmary, Newcastle upon Tyne, UK; 9 December 2010. Vertical disparity: annoying problem or useful cue?3D Stereo Media 2010, Liège, Belgium; 8 December 2010. Stereo correspondence and vertical disparities. RIKEN Brain Sciences Institute, Tokyo, Japan; 4 August 2009. How the brain handles vertical disparity. 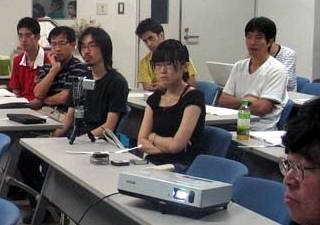 Symposium on Stereopsis : computation and neural correlates of conscious perception, International Union of Physiological Societies, Kyoto, Japan; 30 July 2009. Published in Journal of Physiological Sciences, 1-11-11. The neuronal basis of stereo vision. Aston University, UK; 3 June 2009.
talk to Doctoral Training Centre students at Edinburgh University, UK; 26 May 2009. Stereo vision in a patient with visual form agnosia. Eye Movements and Vision, a symposium in honour of Fred Miles; St John’s College, Oxford University, UK; 3 April 2009. Stereo vision without the ventral stream. Psychology seminar, Glasgow University, UK; 13 February 2009. David Bodian Seminar in Neuroscience, Johns Hopkins University, Baltimore, Maryland, USA; 21 November 2008. Stereo deficits in a patient with damage to the lateral occipital cortex. Laboratory of Sensorimotor Research, National Institutes of Health, Washington DC, USA; 14 November 2008. The neuronal substrate of stereo vision. Ophthalmology and Vision Sciences Forum, Institute of Neuroscience, Newcastle University, UK; June 2008. Brown-bag seminar, Institute of Neuroscience, Newcastle University, UK; May 2008. Departmental colloquium, Max Planck Institute for Biological Cybernetics, Tuebingen, Germany; April 2008. The Pulfrich effect: a new explanation of an old illusion. Psychology seminar, Reading University, UK; March 2007. Calibrating eye position using vertical disparity. Rank Prize Funds mini-symposium on self-calibrating sensory systems, Bowness-on-Windermere, UK; February 2007. 20 minute talk. The role of primary visual cortex in binocular vision and stereopsis. Psychology seminar, Newcastle University, UK; November 2006. Solving the stereo correspondence problem using position and phase disparity. Adaptive and neural computation seminar, Edinburgh University, UK; March 2006. 1 hour talk. How we see: the neural representation of the visual world. National Eye Institute Bench-to-Bedside seminar, NIH, Bethesda, Maryland, USA; January 2004. Excitable cells: models and experiments, a symposium in honour of Julian Jack; Oxford University, UK; September 2003. EU Advanced Course in Computational Neuroscience, Obidos, Portugal; September 2003. Cortical computations underlying stereo vision. 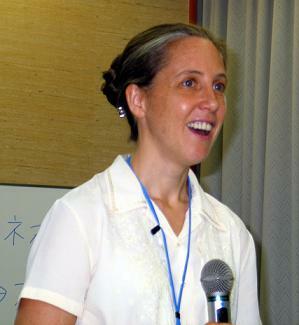 Mathematical Biology seminar, University of British Columbia, Vancouver, Canada; November 2002. A Bayesian model of the correspondence problem. Perceptual Grouping Workshop, Catholic University of Leuven, Belgium; October 2000.